The DFC is an ambitious infrastructure development designed to enable the efficient movement of freight containers across the vast geography of the country. It is expected to relieve congestion on commuter routes and drive industrial growth and investments in these regions. ABB will play a key role by enhancing the system’s reliability with an innovative power quality solution. 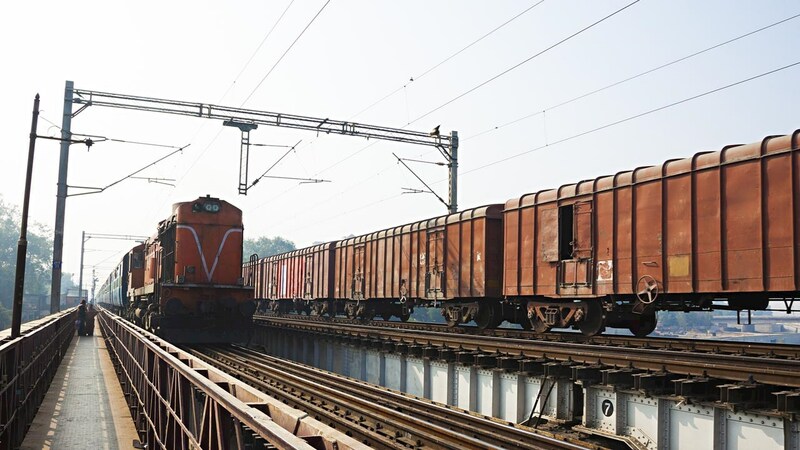 DFCCIL expects to transport up to 15,000 tons of load for long distances and will have a container capacity of 400 units per train, among the highest in the world. To cope with the volume, DFCCIL is pioneering the operation of double stack containers on electrified routes in India. The trains will be high-speed, with maximum speed varying between 75 kilometers per hour (kmph) to 100 kmph. To address this challenge, ABB will supply a step-less Power Quality Compensator – Reactive ((PQCR), which helps to regulate and stabilize the power supply when there are dynamic and highly fluctuating loads. The PQCR will help improve power quality and voltage stability and help comply with grid codes. In addition, ABB will also supply fixed and dynamic reactive power compensation panels at 23 traction substations. By improving the reliability of the grid and reducing downtime, ABB’s innovative PQCR technology will help DFCCIL optimize the operating costs of its freight network. The solution will be implemented in the western segment of the DFC between Mumbai and Dadri that covers a distance of more than 1,500 km.